The Federation is on the verge of collapse. After three people disappear into the mysterious portals that hold the empire together, Culann Penrose is called in to investigate. After he discovers that the ancient system binding the gates is crumbling, he orders them to be shut down. Meanwhile the Druids, still seething at his denunciation of Magic twenty years ago, oppose Penroseâ€™s plans. But soon, Culann discovers that something in the weakened portal system is out to destroy him, and plunge the Empire into an age of darkness. 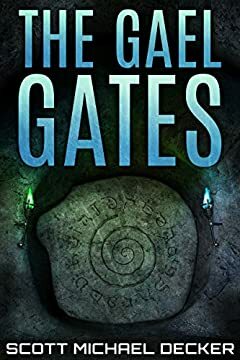 Can Culann's Science save Magic before it destroys him... or will his Magic save the Science of the Gael Gates?